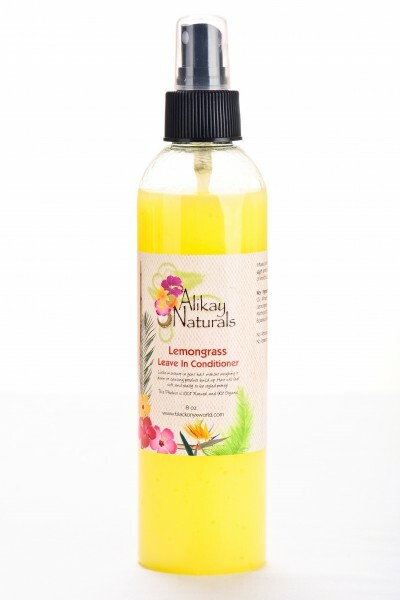 Alikay Naturals was started by YouTuber blogger, Rochelle Campbell known to many as BlackOnyx77. Her Lemongrass Leave-In Conditioner is a light, water based moisturizing conditioner that is great to use on freshly washed hair as the first step in your moisturizing process. The Leave-In does have a lemony cleaning supply small when you first spray it, but it doesn’t linger on the hair. What I love most about this product, is that for my low porosity hair, this is the perfect balance to compliment the other products I use in the LCO method. For those who use heavy whipped shea butters and cream products that seem like they’re almost there to moisturize your hair but it’s just missing something, the Lemongrass Leave-In is the perfect compliment that guarantees soft, shiny hair without it being greasy or overly weighed down. Even though this product has glycerin, it’s fine for curly hairstyles and won’t puff your hair out in humid weather, another bonus as some struggle to figure out how to moisturize but also get their hair to stay in the styles they wanted! This product is lightweight enough that it will work across porosity levels and hair textures – just depends on what moisturizing or styling products you use to finish it off.